DanceBlue Volunteer Registration is HERE! With the DanceBlue Dance Marathon quickly approaching, we wanted to share a way to still get involved! If you didn’t join up for a team, don’t think you’ll be able to meet the fundraising minimum or don’t want to spend the entire 24-hours dancing, we have GREAT news for you! You can still be involved as a volunteer! Volunteers will have the unique experience of interacting with dancers while also assisting with behind-the-scenes work to ensure that everyone has an enjoyable experience. Volunteers will also be instrumental in making sure that the marathon runs smoothly! The requirements for being a volunteer at the marathon? You have to be age 18 and older, and pay a $30 fundraising requirement! Sign-up today to secure your volunteer spot at the 2018 marathon and receive a t-shirt! Shifts fill up quickly, so register as soon as possible! DanceBlue volunteer registration closes on Jan. 12, so make sure you sign up today! Put a Little Boogie in your Step at the 5K! 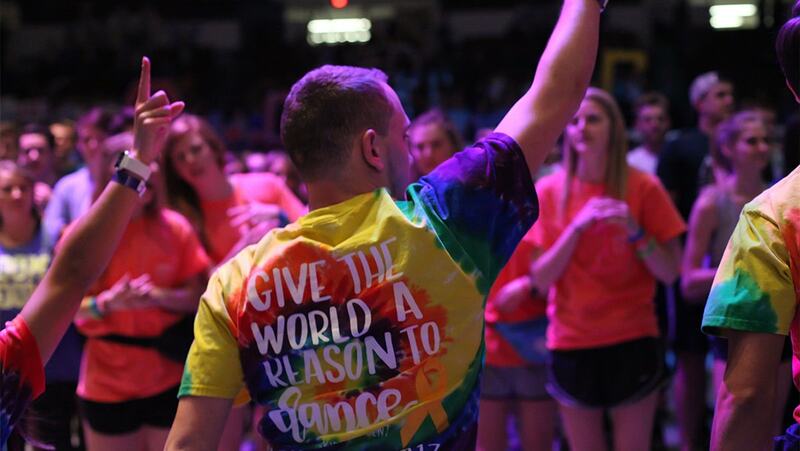 Register for DanceBlue 2019, TODAY! Register Your Team For DanceBlue 2018!